Experience luxury. 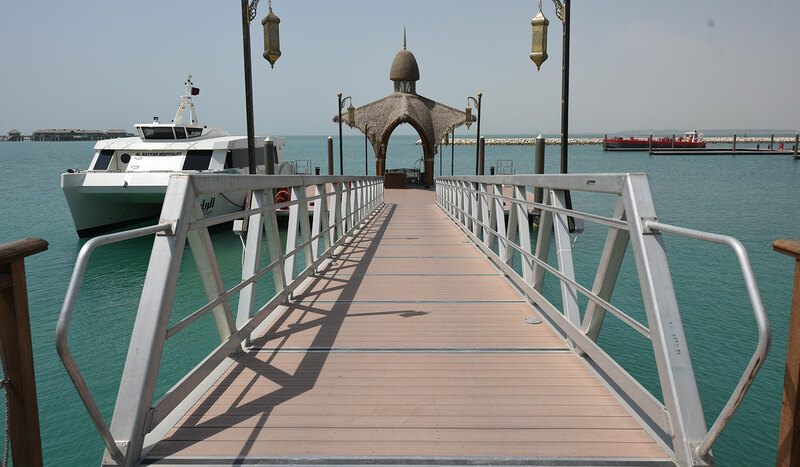 Departing from Al Shiouk VIP terminal, ferries cross crystal clear water to reach Banana Island Resort Doha, a breathtaking island that feels a world away. 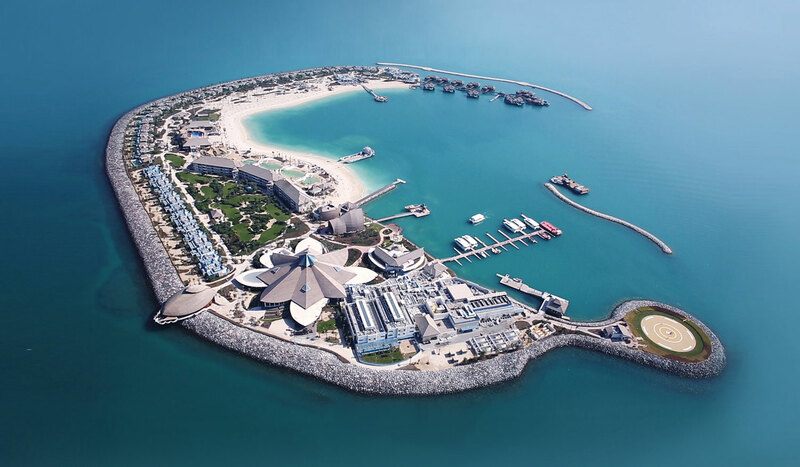 Located 20 minutes from Doha, Qatar’s vibrant capital, this world class facility provides relaxation, adventure, wellness and water sport activities. 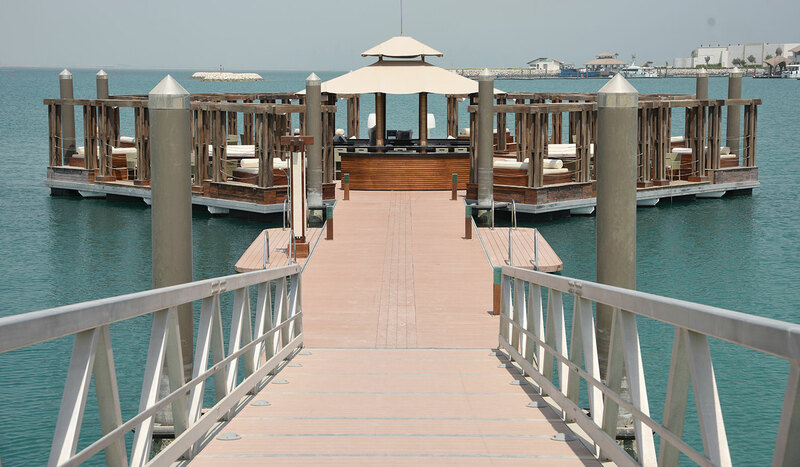 A complete and unique all-in-one destination, visitors are greeted at the impressive arrival pavilion pontoon, a huge floating platform of 15 m x 15 m (50 ft x 50 ft) on which a unique 12 m (40 ft) high wooden structure acts as the resort’s main reception. 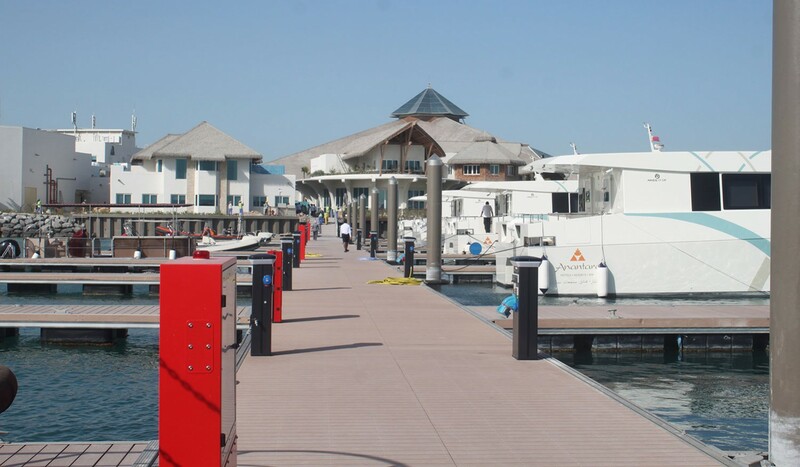 In addition to the marina, capable of servicing (30) yachts up to 40 meters (130 ft), one can also enjoy shisha and fine dining under the stars at the floating beach dining club or access their private villas by boat or cart. Diving, snorkeling and scuba diving tours depart from the Diving pontoon and will make you discover this prestigious retreat. Operated by Anantara Hotels and Resorts.